We offer a range products to compliment and enhance your photographs, each product has been carefully considered and selected for their quality and elegance. We believe in providing the best products we can to enrich your treasured collection of photographs, for you and your family to treasure forever. Our tasteful folio boxes, imported from Italy are made using the finest Italian leathers, we also offer a stunning linen version, if you prefer. If an album is your preference, we have carefully chosen the finest product to beautifully enhance your photographs; exclusively imported from USA, these select albums have an elegant and timeless quality, that you will treasure forever. You can complete your collection with a stunning wall portrait. Custom made to your ideal specification, my frames are created by local craftsmen, using the finest materials available. Each Frame is handmade in Scotland to you specification, using the finest quality products. Our quality, handmade frames are hand finished using the finest quality Farrow and Ball paints. The Folio box is a stunning Italian leather or linen keepsake box to hold your treasured photographs. A story inside a box, your chosen portraits, will be printed on exhibition quality, fine art paper. In addition, each portrait will be beautifully presented in an archival, acid-free, bevel cut mount. Our exclusive leather or linen albums have been carefully sourced to compliment your chosen portraits perfectly. 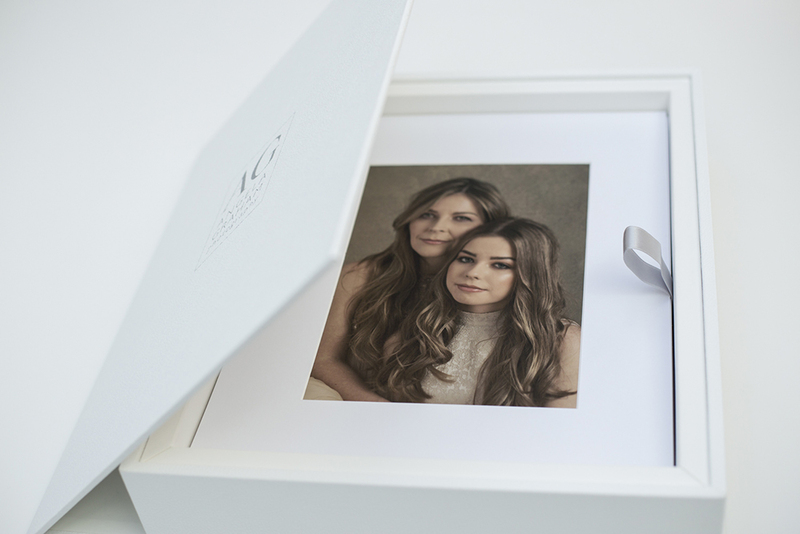 Your chosen portraits will be printed on exhibition quality, archival, fine art paper before being carefully placed into your stunning keepsake album.